I bought Turning Gold at the Tattersalls Newmarket Horses In Training sale. He is a proper size for jumping, 17hh and by a sire I love and a good record for transferring ability from flat to hurdles in Pivotal. 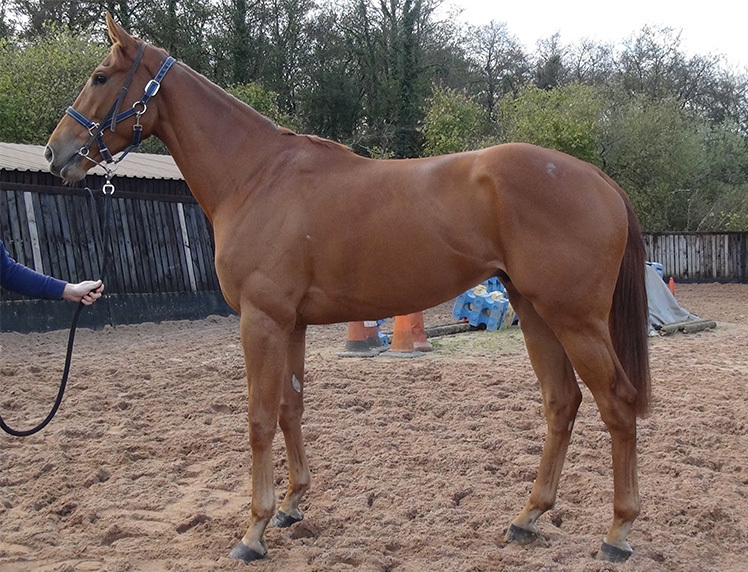 I bought Turning Gold at the Tattersalls Newmarket Horses In Training sale last week. He is a proper size for jumping, 17hh and by a sire I love and a good record for transferring ability from flat to hurdles in Pivotal (Sire of Final Approach who won the County Hurdle for Willie Mullins & Chesterfield who won the Scottish Champion Hurdle for Seamus Mullins). The dam’s sire, Anabaa is the also the broodmare sire of Group 1 winners, Capri, Lush Lashes & Treve. As is usual for Sir Mark Prescott, he got him handicapped and he improved throughout his 3yo season to win off a mark of 67 gaining a RPR of 83 and Timeform 90. He has form over a mile and 10 furlongs on Soft and Good to Firm ground and from a solid Cheveley Park Stud family. 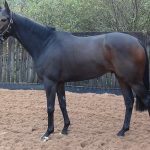 You will see from his video’s how he uses his scope & stride and I have been lucky buying from Sir Mark with the likes of High Secret for Paul Nicholls (now Grade 1 placed) and Amour De Nuit (Listed winner) albeit at a higher price. 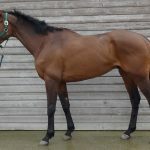 At last season’s sale, we bought a horse called Mohaayed who I brought home for a similar price who went on to be beaten less than 4 lengths at the Cheltenham Festival.